A Superb Tropically Inspired And Vibrantly Coloured One-piece Swimsuit By Rio De Sol. 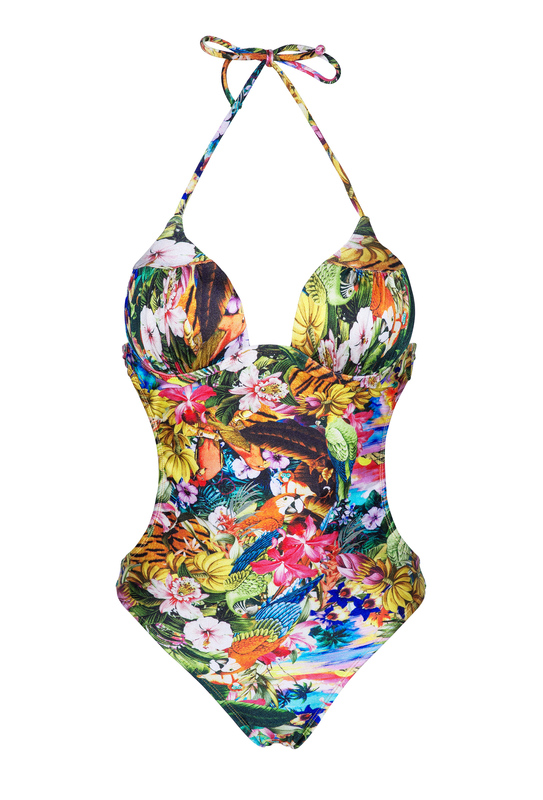 Its Trikini Cut And Firm Padding Will Enhance Your Figure And Envelop It in A Luxurious Multicoloured Print. A Harmonious And Exuberant Blend Of exotic Fauna and Flora.